Aid plays an important role in reducing poverty and inequality, stimulating growth, building capacity, promoting human development and accelerating the achievement of the Millennium Development Goals. Effective aid is critical both to maximise the impact of aid and to achieve long-term, sustainable development. Aid to the health sector has increased substantially over the last 20 years from USD 5 billion in 1990 to USD 21.8 billion in 2007. Consisting of a growing and diverse range of actors, aid to the health sector faces complex governance and management challenges: for example, donors inadvertedly invest in duplicate and fragmented efforts, while partners are unable to take full responsibility and leadership. By reviewing these challenges against the aid effectiveness principles outlined in the landmark 2005 Paris Declaration and 2008 Accra Agenda for Action, this report provides insight and expounds lessons from the health sector to the broader challenges of aid effectiveness. 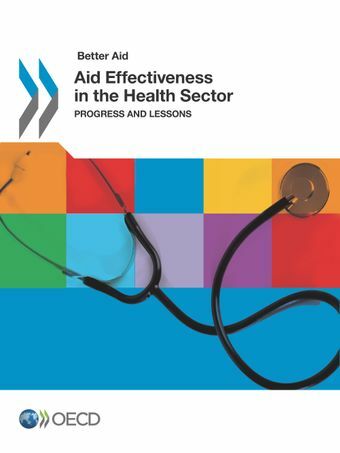 Health, then, is used as a “tracer” sector to help assess the risks and benefits of the diverse range of actors, and promote co-ordination and coherence among development programmes. This work is the result of a collaboration between the Working Party on Aid Effectiveness – an inclusive, international forum with the aim of improving aid delivery – through its Task Team on Health as a Tracer Sector and the World Trade Organization.